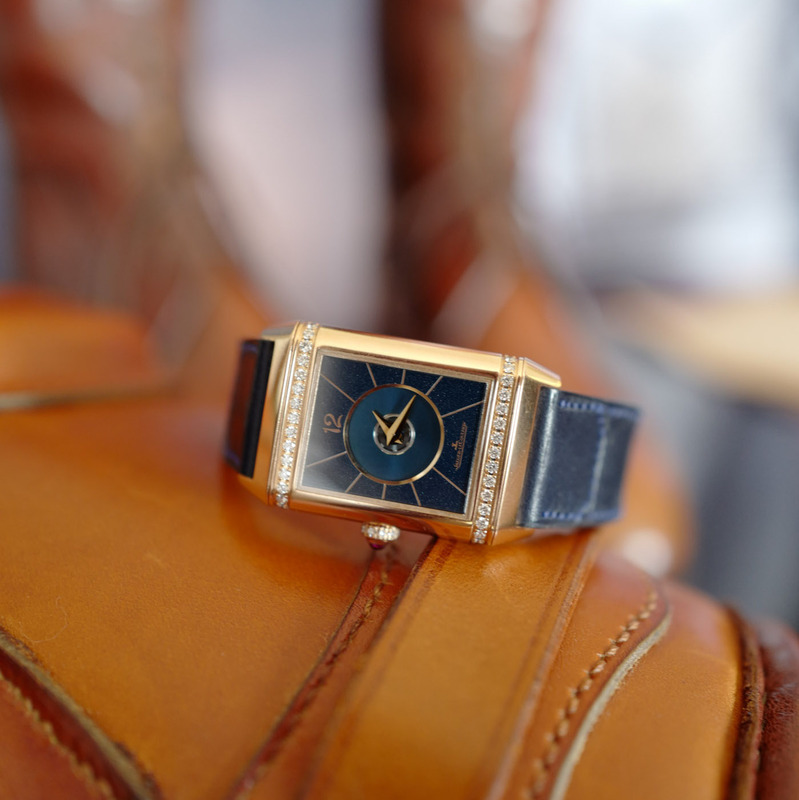 A watch fit for royalty. Clare Mountbatten, Marchioness of Milford Haven, is many things. 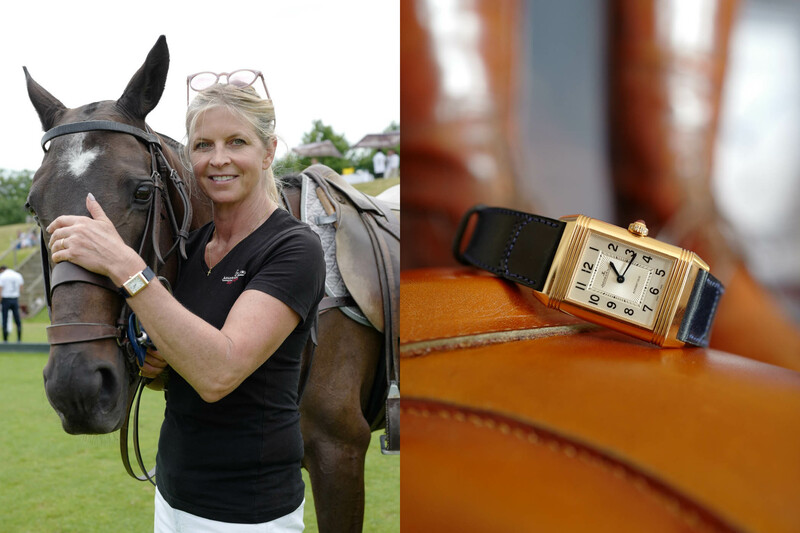 She is a respected journalist (formally the social Editor for Tatler magazine), wife to George Mountbatten, 4th Marquess of Milford Haven, mother, polo player and Jaeger-LeCoultre ambassador. But above all, she’s a wonderful woman (I swear she didn’t pay me to say that). 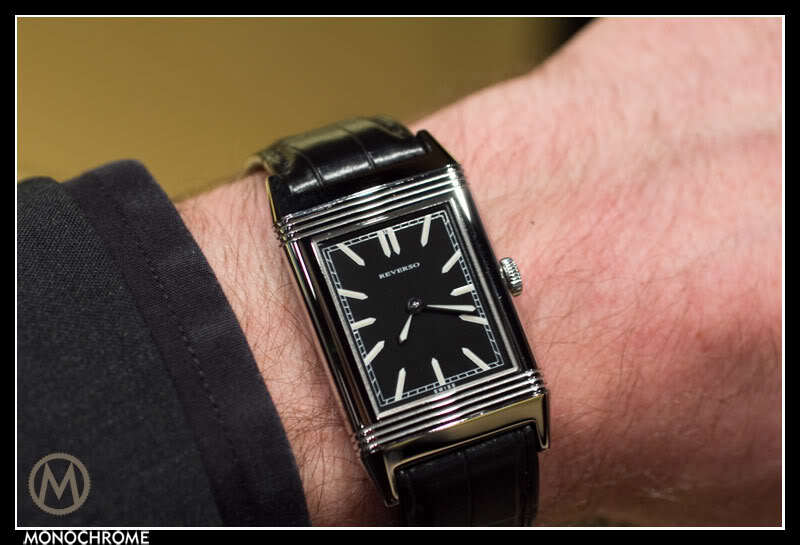 Justin Hast for MONOCHROME – What did the design process with JLC look like? 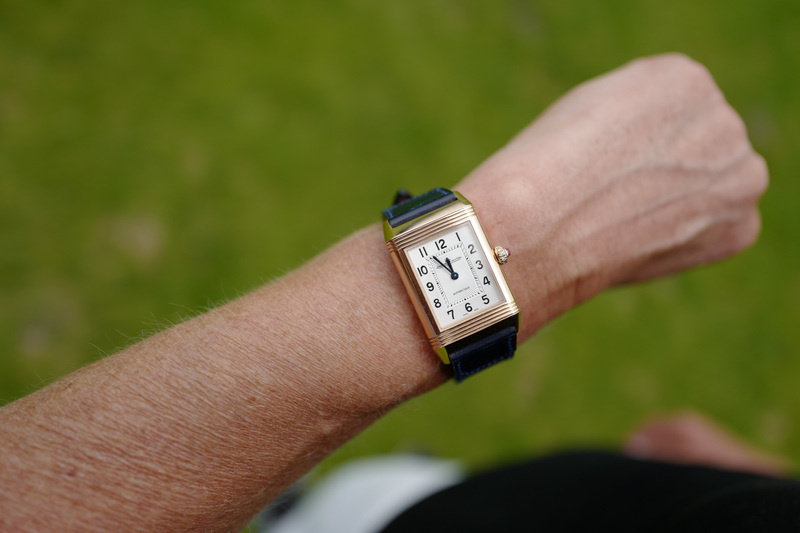 Clare Mountbatten (CM) – JLC said they wanted to give me something unique to mark the decade of my being their Brand Ambassador and also to endorse our special relationship so they suggested they made me a one-off, bespoke Reverso. I could choose whatever I wanted in the design process, but it needed to reflect those things in my life that are most special to me. So, I started to consider those things (not too difficult! 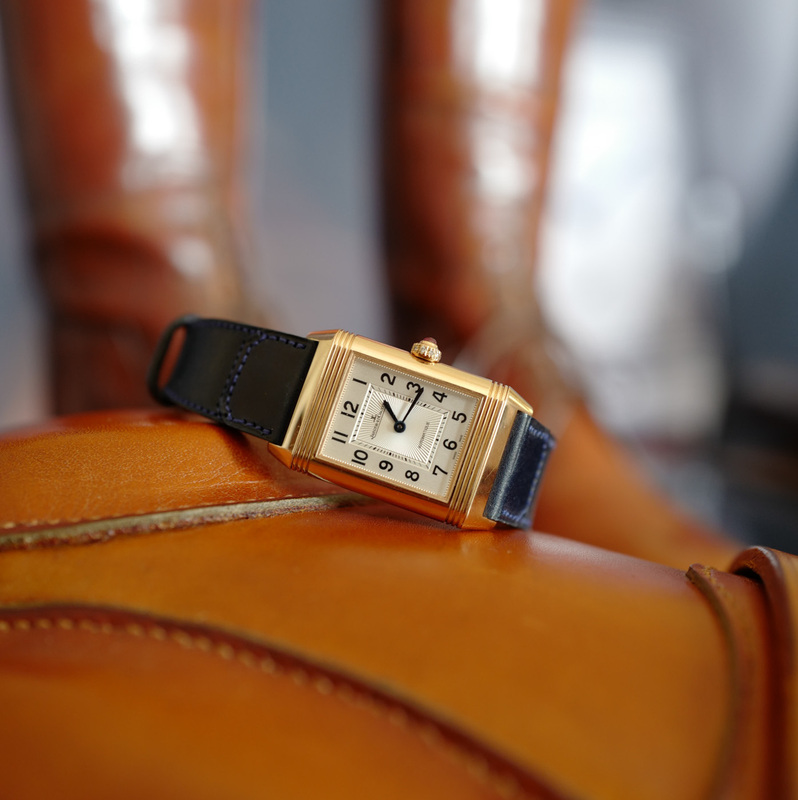 ), and the base colour of the watch itself. The things most special to me are my children and family so I chose my three children’s initials – J for James, H for Harry and L for Louisa. These were placed inside the gold casing of the Reverso separated by a pair of crossed polo sticks to reflect my passion for the sport of kings. I also chose a Marquess’s coronet as a tribute to my husband and his family and this was centred at the bottom of the sticks. 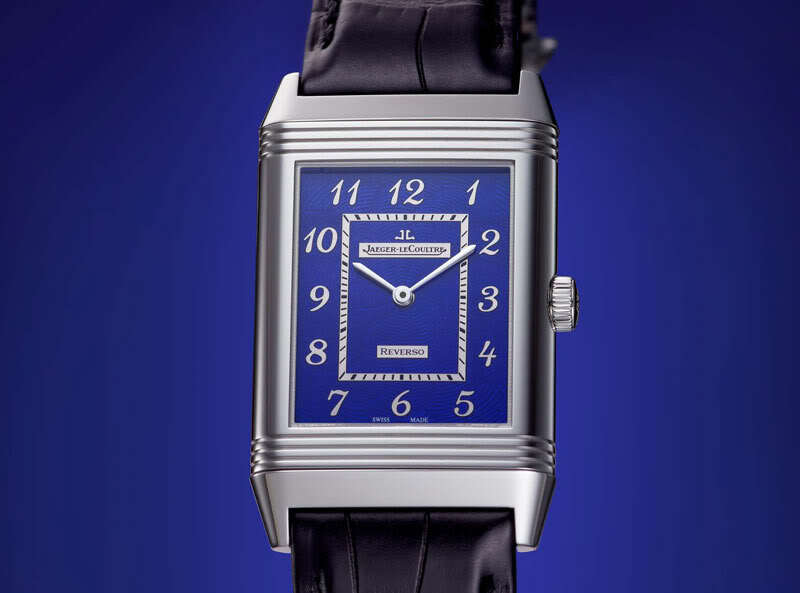 I wanted the watch to have the ability to switch from day to night, informal to formal, so the flip side of the watch is a two-shade of deep blue – the midnight sky surrounded by diamonds, the stars in the night sky. Most evenings, I walk my dogs before bedtime and I look up to the sky and the stars and think about the mystery of life and the infinity of the night sky. 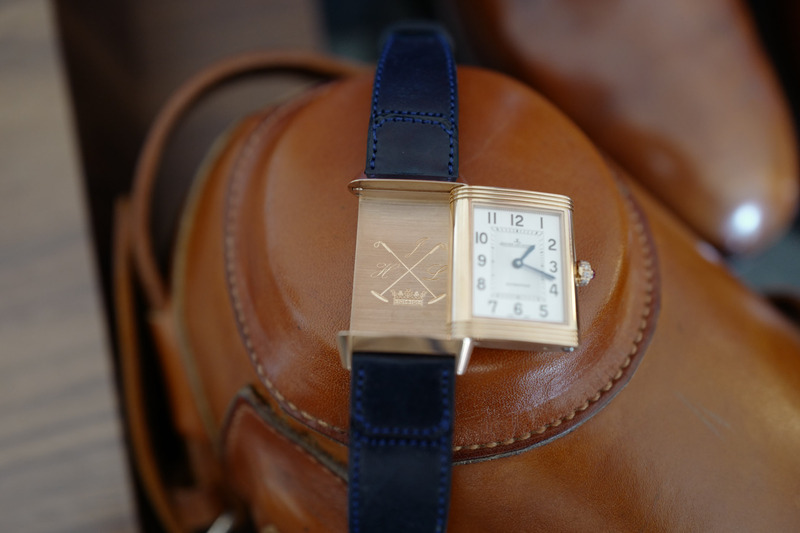 The overall design for this side of the watch has an Art Deco look and feel which ties in well with when British Army Officers were playing polo in India in the 1930’s and the concept of the Reverso was evolved. The finishing personal touch is the small ruby on the dial which imitates the ruby in my engagement ring. Finally, the blue leather strap was handmade by Fagliano in Argentina, a unique family run business, who make the best polo boots in the world. My own boots were handmade by them and Argentina is a country very close to my heart; I have been going there for the past 20 years that I have been playing polo. Were you involved in every step? I asked to be involved in every step because it was really important to me that it was 100% how I envisaged it would be. I wanted to be proud of this watch, and I am. Did you consider platinum or white gold over rose? Not really. I love rose gold as it is warm and feminine and I feel suits me better than platinum or white gold. 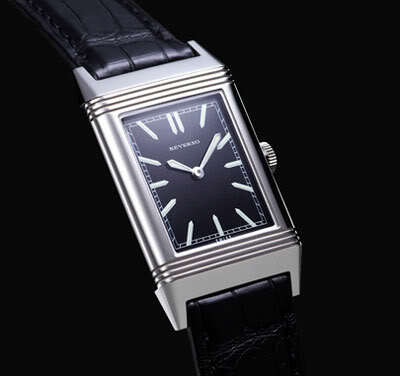 Were there times you weren’t sure you were going to get the watch you had envisaged? The initial design draft came up with a brownish coloured watch which I didn’t like, so I made sure we changed that immediately! It was too masculine for me and I never wear brown. Where did you collect the watch? What were the emotions? 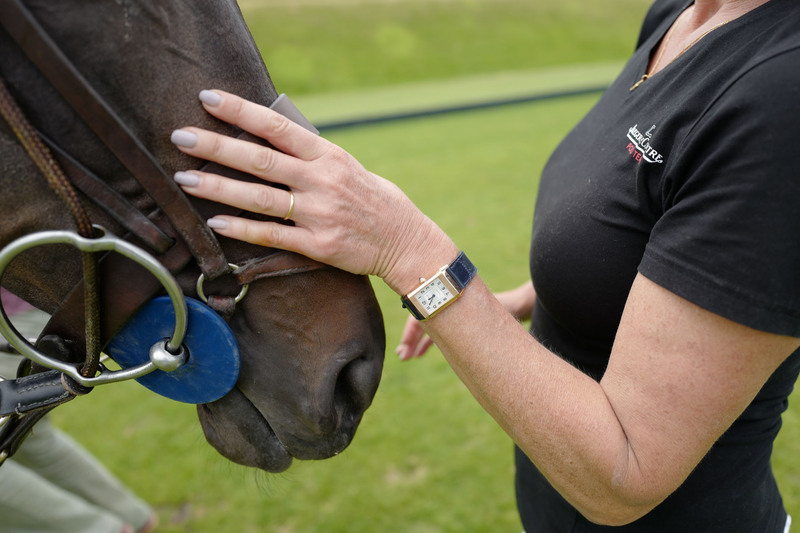 The watch was presented to me at the JLC flagship boutique on Old Bond St, London at an event to mark the draw for the Gold Cup, held at Cowdray Park Polo Club. The Gold Cup is one of the most famous polo tournaments in the world and JLC were the title sponsors for the past three years. Obviously, it was quite an emotional moment for me to be presented with such a stunning watch in front of a lot of people I know, but I felt hugely honoured at the time. 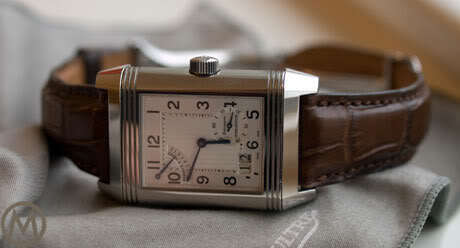 How does this bespoke Reverso fit into your collection? It fits perfectly in with my collection as it is so versatile, which is why I wear it more than any of the others. When do you typically find you wear it? Does it get any better than designing your own watch? It is a huge privilege and honour to be asked to design your own watch. 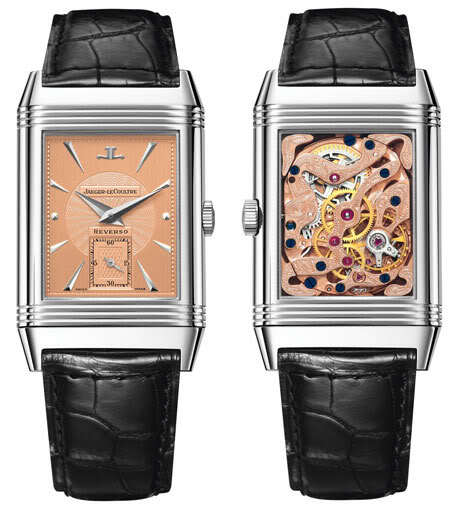 I am extremely grateful to JLC for presenting me with this unique opportunity. Do you have your eye on anything else watch-wise?